Striping adds the finishing touches to every asphalt road. Quality, long-lasting street markings (known as line markings in the industry) and transverse lines (which include crosswalks and limit lines) add to the safety of drivers and pedestrians alike. They help maximize traffic flow, while helping minimize accidents due to driver misinterpretation and error. J&S offers both conventional controlled spray painting and the latest Thermoplastic Striping for the highest visibility and durability. 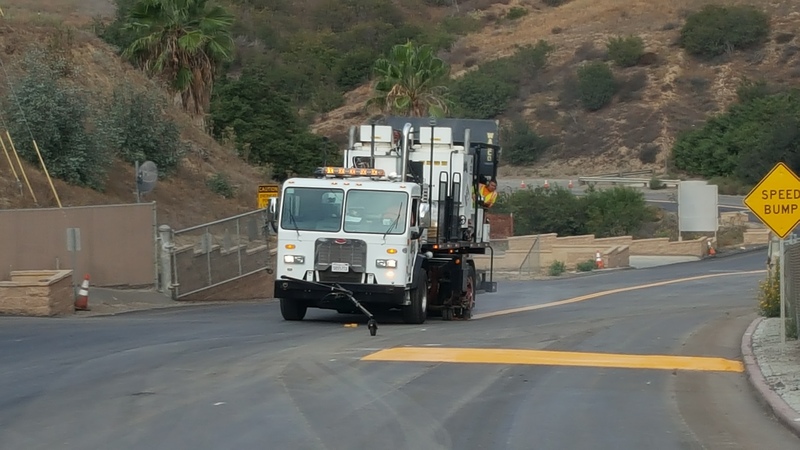 More than two million miles of paved roads, combined with airports, playgrounds, parking lots, and other marked areas, make pavement marking one of America’s largest and fastest growing markets for thermoplastic pavement striping compounds, also known as hot-melts. It is composed primarily of hydrocarbon tackifying resins, low molecular weight or chemically modified polythelenes, glass beads, and various fillers and pigments. Compared with conventional paint, these compounds offer two major advantages: rapid setup and longevity, with a life expectancy as much as 6-8 times that of paint. This can translate into a substantial savings of maintenance costs. Conventional solvent-based and waterborne pavement marking paints have a longer drying time, a shorter service life, and higher maintenance costs. As a result of the new clean-air standards of 1996, the use of solvent-base paints is limited in favor of thermoplastics that contain no volatile organic compounds. 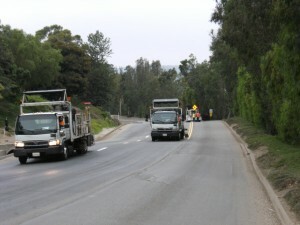 J&S Striping is an environmentally-conscious company and uses the latest materials and techniques to minimize or eliminate any impact on our environment.Join the thousands of satisfied clients who know they can depend of J&S Striping to deliver cost-effective solutions for every municipal and private enterprise project.